The Supreme Court Thursday rejected independent counsel Kenneth W. Starr's plea to issue a fast-track decision on his battles with the Clinton administration over whether he can force White House attorneys and Secret Service officers to testify in the Monica S. Lewinsky investigation. In a legal setback for Starr, the court decided not to bypass the normal appeals process and hear the disputes on a rare emergency basis before its summer recess, dismissing the prosecutor's contention that a quick resolution was vital to the national interest. None of the justices dissented in the one-page order, which urged the appeals court to "proceed expeditiously." The decision means that Starr, even if he ultimately wins the legal battle, likely will not be able to obtain the testimony he has sought from White House deputy counsel Bruce R. Lindsey or three Secret Service employees until perhaps the end of the year. But lawyers close to the case said the court's decision makes it more likely that Starr will send Congress an interim report about possible impeachable offenses by President Clinton without waiting to question everyone he wants to interrogate. And Starr may not wait to indict Lewinsky on perjury or strike a deal for her testimony about the nature of her relationship with the president, although she may be in a stronger position knowing that no Secret Service officers will testify anytime soon. 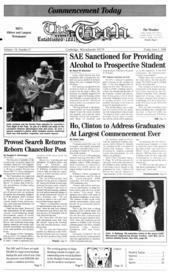 The high court's action came as Starr finally was able to bring Clinton aide Sidney Blumenthal back before the grand jury Thursday to testify about internal White House discussions regarding the Lewinsky investigation. Blumenthal had refused to answer certain questions until Clinton dropped his claim of executive privilege this week. The court's rebuff was Starr's first defeat in several legal battles.